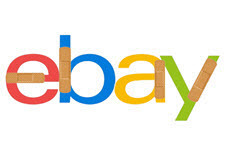 We've been getting reports from readers who can no longer find sold listings on eBay, though it may be caused by a technical issue related to a browser. "Have you received reports regarding eBay hiding sold listings," one seller asked us. "Yesterday, I was able to view them with no problem. Today, they're shown for a split second, then disappear." Another wrote, "eBay has begun hiding Sold Listings Search Results - but all the fields you use to make the query still remain! Do you see this?" The reader wondered if it had anything to do with Terapeak being rolled out to Stores. Some users began experiencing problems viewing sold listings a few days ago. A thread on the eBay boards suggests it could be caused by ad blockers. In a discussion, "What happened to the Completed Listings???" a user responded, "Turned my ad blocker off and it worked. So is eBay now making it so you can't see completed listing if you have an ad blocker?" Yes, I've noticed this many times. Yesterday I had a dress that never showed up as sold on my Ebay Sold pages for 3 days now but clearly paid and was waiting for shipment. eBay has also eliminated the option of finding Sellers under Advanced Search if the Seller has no active listings. I had a problem where ebay was showing me the ''new'' sold Items page, which was entirely devoid of any useful information that I use in my post-sale prep. I had to manually click thru to a saved link on my browser to get rid of it. I hope it does not become the norm. The "technology" company strikes again! When you first 400 software engineers this is what happens. Correction: When you FIRE 400. EB shouldn't show "sold items" to anyone but the sellers. Merc and Grailed, as well as AMZ have "comparison pricing" but you see it only after you LIST your item. Giving the BUYER the chance to see solds, sets the item up for "low balling." I found a couple of items that sold two weeks ago in my relistist items yesterday. What is gong on with that?????????? If it doesnt show up, and then you see it, do you get dinged for late shipment? I found that my Firefox Browser was not displaying sold listing. Chrome, at the same time, displayed the sold listing. eBay programmers or browser programmers? I had this same problem using the Firefox browser on Windows 7. Once I whitelisted eBay.com in my adblocker, I could see the sold listings search results again.